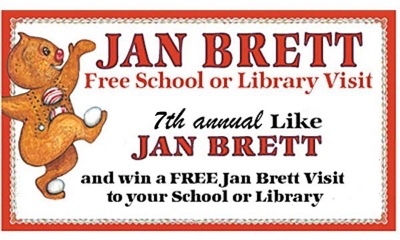 Help the Sioux City Public Library win a free visit and books from author Jan Brett! And if you aren't familiar with Jan Brett yet, the Sioux City Public Library has 28 of her wonderful books already, including the Mitten, the Three Snow Bears, The Trouble with Trolls, and many more, so definitely check some out! You will be impressed with the incredible artwork and charming stories!